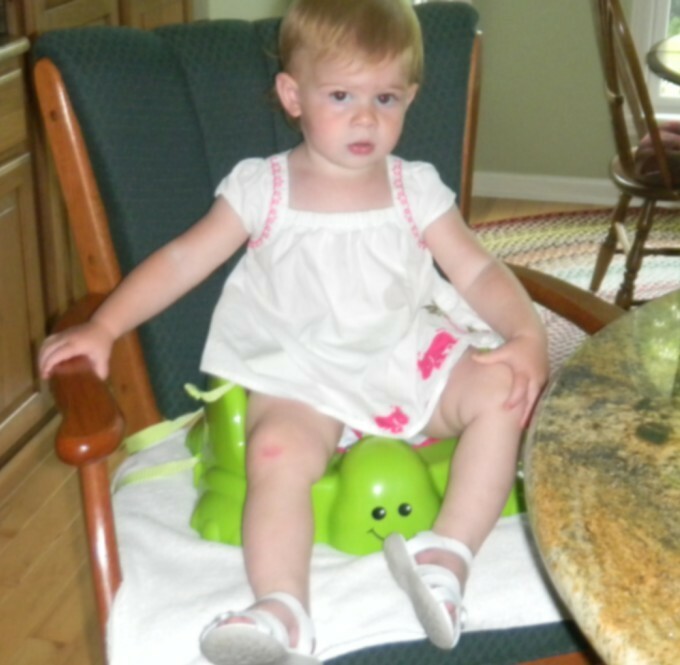 This adorable turtle pal has tall sides to support toddlers and make meal time a ton of fun. Long straps and non-skid feet keep the seat firmly in place. Enjoying the seat is our granddaughter Fiona.